Who doesn't enjoy a good pampering? It's just good for the body and soul. 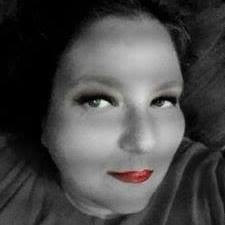 My Spa Life makes it easy and affordable to have the spa experience in the privacy of your own home. My Spa Life offers a large selection of products for both men and women. We were thrilled to be able to work with My Spa Life to feature some of their items on our Valentine's Day Holiday Gift Guide. All the products we received were easy to use and had detailed instructions. We can not wait to try even more of the products offered and we really think you will love them too...after all who doesn't need a little me time. From head to toes we can guarantee My Spa Life has the perfect product for you to feel good and look good! We encourage you to take time out of your busy like to destress and rejuvenate with My Spa Life. 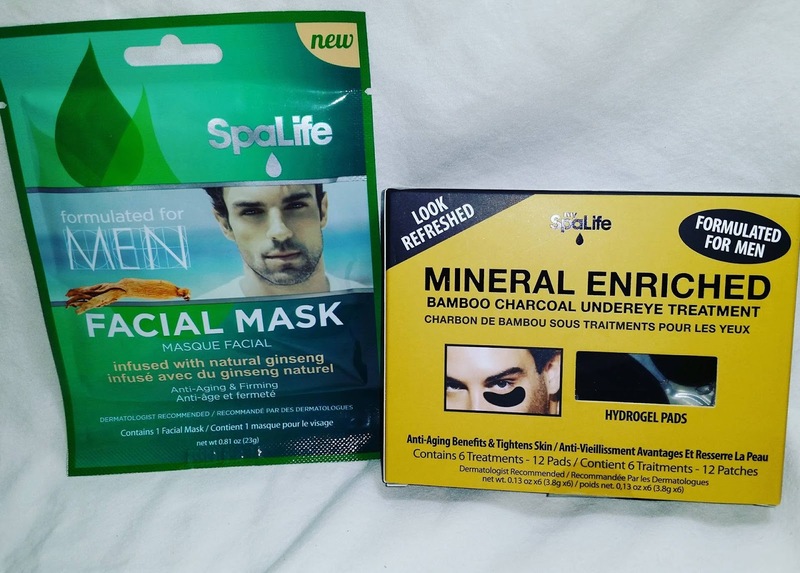 Men's Hydrating Facial Mask 3 Pack - $18 Infused with natural ginseng, this anti-aging, antioxidant mask fits the contours of your whole face. Ginseng helps restore your youthful glow. It refreshes, cleans, and moisturizes your skin. It effectively saturates skin with hydration and multivitamins, leaving your skin more vigorous and refreshed. We recommend using this product before or after shaving. Men's Bamboo Under Eye Treatment 6 Pack - $25 Anti-aging benefits & tightens skin. Activated bamboo charcoal gets down deep into the pores in the under eye skin properly clearing them of dirt which ultimately prevents sagging. 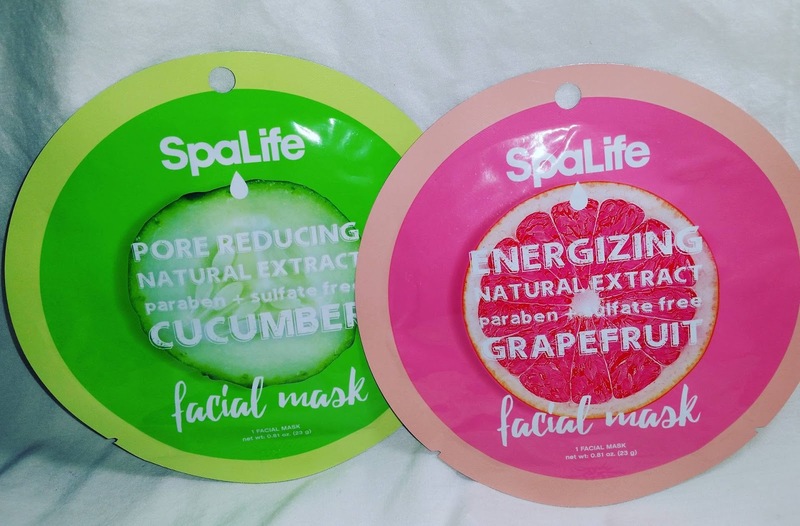 Pore Reducing Cucumber Natural Extract Facial Mask - $3.50 Cucumbers have natural antioxidants that soothe and moisturize skin which helps diminish the size of pores. It makes this natural fruit extract a perfect ingredient for a pore reducing facial mask. It’s rich in vitamin C and K too! Mask is paraben and sulfate free. We never test on animals. Energizing Grapefruit Natural Extract Facial Mask - $3.50 Grapefruits’ rich antioxidants provide an array of anti-aging benefits while its aroma exhilarates the senses. It makes this natural fruit extract a perfect ingredient for an energizing facial mask. It helps fight off free radicals too! Our colorful masks with aromatherapy will make boring beauty routines a thing of the past. Mask is paraben and sulfate free. We never test on animals. 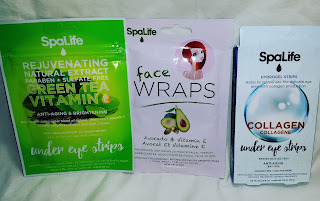 Brightening Cucumber and Lemon Under Eye Treatment 12 Pack - $16 Spa Life's refreshing under eye strips help take away dark circles and puffiness that may form around the eyes, while the refreshing cucumber and lemon aromas will arouse your senses. Sit back and relax, no mess, no spills. Avocado and Vitamin E Hydrating Facial Mask 3 Pack - $15 Infused with avocado and vitamin E, this hydrating mask fits the contours of your whole face. The avocado is highly regarded for its extremely nourishing properties. It heals and soothes irritated skin. Avocados contain healthy fats and phytonutrients which help maintain skin tone and complexion. It effectively saturates skin with deep hydration and moisture, leaving your skin more supple and youthful. 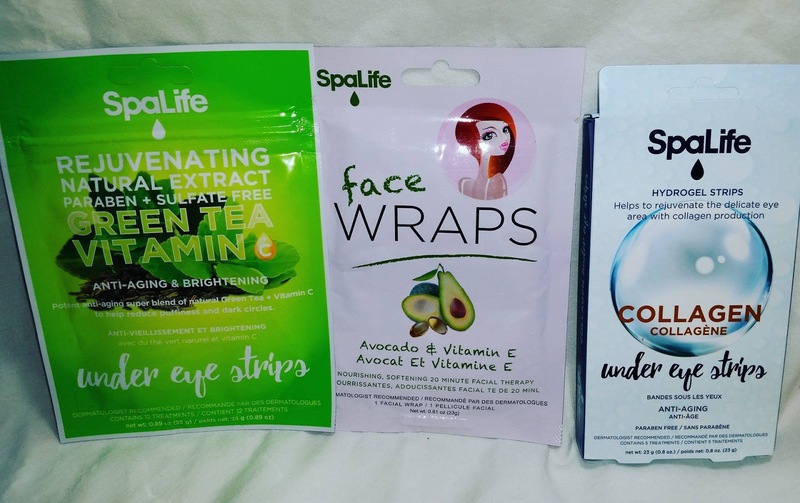 Collagen Under Eye Hydrogel Strips 5 Pack - $16 The rejuvenating properties of collagen help boost the production of protein to keep the under eyes looking healthy, fresh, and beautiful. 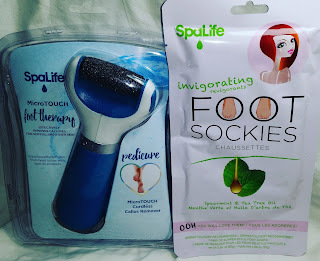 Foot Therapy Pedicure Tool - $20 Cordless tool ideal for the safe and professional removal of calluses and hard skin from feet for softer and smoother skin. Invigorating Foot Sockies Spearmint & Tea Tree Oil 2 Pack - $16 Get your feet back to being beautiful! Our Smoothing Foot Treatment contains spearmint and tea tree oil to help soothe tired, achy feet. With these wearable slipper-like masks your feet will be left visibly smooth and youthful again! 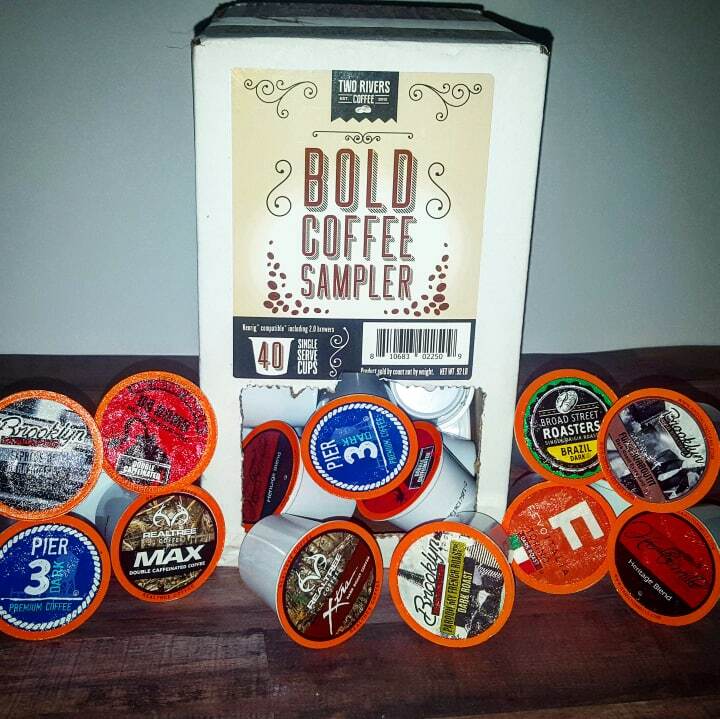 You can shop online or find a location near you by clicking HERE. My Spa Life products would also make the perfect items for a gift basket for a couples wedding shower also.